Task: A new website. The original website was a full of unorganized information. Countless parents and students were relying on the site for updates to games, forms, directions, and more. There were limited graphics and open security issues. Goals for the new website were a new modern and clean layout. Intense commitment to ease of use, organization, and communication. One of the advantages Sanderson Athletics utilizes in WordPress Multisite. Although not always ideal, Multisite was an ideal setup for Sanderson. Over 20 teams have aspirations to build blogs, independent websites, social media, etc. 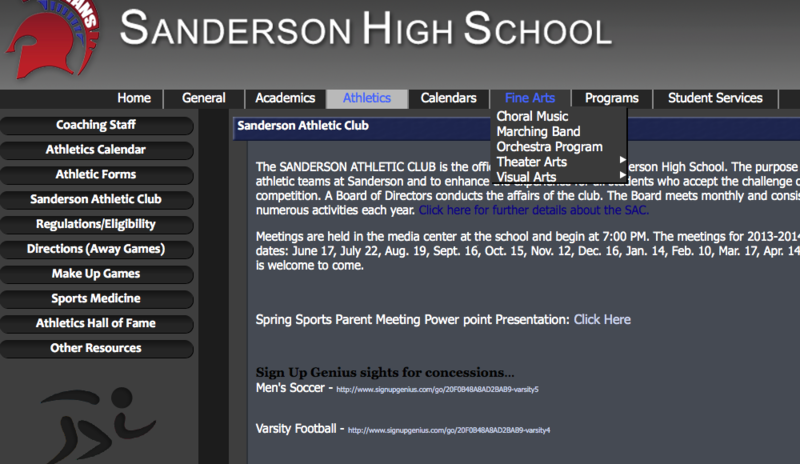 SandersonAthletics.org allows each team to build their own site as a sub site of the primary domain. They have the flexibility to customize their theme, posts, social media, EVERYTHING. Additionally, it will save the department considerable additional hosting and labor costs.